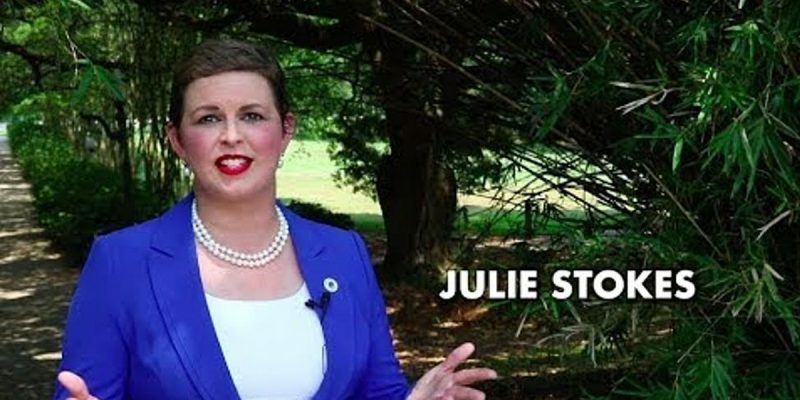 On Monday evening, in a cramped community room in Harahan, a silent ballot vote of Jefferson Parish Republican leaders delivered a political sonic boom that rattled State Representative Julie Stokes (R – Kenner). The Republican Party Parish Executive Committee in Jefferson Parish, Stokes’ home parish, rejected Stokes and awarded their coveted endorsement for Secretary of State to former State Senator A.G. Crowe (R-Pearl River). Jefferson Parish is the state’s most populous parish and has the largest Republican voter base in Louisiana. The endorsement of the RPEC in this parish is conducted in a silent vote ballot of an endorsement committee composed of elected members of the Jefferson Republican Parish Executive Committee, elected members of the Republican State Central Committee who reside in Jefferson Parish, the Presidents of the Republican Women’s Clubs of Jefferson Parish, and Republican elected officials who reside in Jefferson Parish. More than 70 Republican leaders listened to the candidates before delivering the endorsement surprise. Crowe led the first ballot over Stokes, acting Secretary of State Kyle Ardoin (R- Baton Rouge) and State Senator Rick Edmonds (R – Baton Rouge). The first ballot was Crowe 30, Stokes 23, Ardoin 11, and Edmonds 8. The sizable party leadership group requires a candidate to win more than 50% of the group’s vote for a candidate to earn an endorsement. The JPREC’s rules require a runoff between the top two vote getters if no candidate reaches 50% on the first ballot. On the second ballot, Crowe received 38 votes to Stokes’ 33. Boom! Stokes was so convinced she had her home GOP in the bag, she opted to stay in Los Angeles where she was attending the National Conference of State Legislators convention. State Representative Kirk Talbot (R – Metairie) addressed the GOP conclave on her behalf. Staying in L.A. wasn’t the first bad decision by Stokes. In an effort to curry favor with Dems, Stokes courted Democrat John Bel Edwards and turned her back on her constituents and Republicans throughout Louisiana as she recently opted for higher taxes and a bloated bureaucracy. Even though Talbot tried to present the virtues of his colleague and convince his fellow Republicans that Stokes is not the RINO they think she is, the committee was unmoved. This endorsement is likely the sign of things to come for Stokes if she remains in the contest. Surely, every GOP endorsement committee will remember Stokes’ legislative-vote flirting to court Democrat support for her thwarted statewide campaign for Treasurer. If they don’t remember it, count on skilled political media consultant Greg Buisson, who’s leading Crowe’s media team, to remind them. Buisson recently helped Kenner Councilman Dominic Impastato handily defeat 23-year incumbent State Senator Danny Martiny (R – Kenner) to become the GOP-dominated parish’s newest councilman. The Impastato-Martiny race could well be harbinger of what’s coming for Stokes in her home parish this fall. In that race, through a series of mailers, commercials and digital videos, Buisson dissected Martiny’s voting record to convince Jefferson voters the state senator is no conservative. It worked. Stokes’ voting record isn’t quite Martiny’s – the senator’s LABI score for 2016-17 was a pathetic 35 percent, while Stoke’s House record per the LABI scorecard for that same time frame was 81 – but she has a series of high-profile statements and votes which would paint a very similar picture. No doubt, Buisson is looking at Stokes’s voting record and salivating. There’s likely – but not certainly – room for only one Republican to reach the runoff for Secretary of State. With six Republicans, two Democrats and one No Party candidate running, political experts expect a replay of the recent Treasurer’s contest where Democrat Derrick Edwards led a field of seven over Republican John Schroeder. But, in the runoff, Schroeder won going away with 56% of the vote. Interestingly, though, the fact there are two Democrats in the race might mean an R-vs-D runoff isn’t in the offing. One of the Democrats, Renee Fontenot Free, is white and the other, Gwen Collins-Greenup, is black. If the Democrats split their vote between the two, it’s Stokes’ best hope of securing a space in the runoff. On the other hand, Stokes was counting on a lot of moderate Republican voters in Baton Rouge – the Jay Dardenne Republicans, some would call them – to break her way. Ardoin’s entry in the race is going to make those voters much harder to get, as those voters are his base. Ardoin reportedly is off to a very impressive start in fundraising, meaning that it could well be the incumbent, rather than Stokes, who ends up with the bulk of the political moderates around the state – and perhaps if two Republicans make the runoff, which is Stokes’ best chance to win, even that scenario wouldn’t help her. So what does this mean for Stokes? Could she actually drop out of the race? If so, it will be two races in successive years that she will have exited after entering. That’s not a political brand anybody wants. But running and losing, particularly if one loses badly, might be even worse. Stokes also has a decision to make next year – does she seek re-election to the House, perhaps with a determined conservative challenger, or does she seek Martiny’s Senate seat, perhaps with Talbot opposing her (he’s term-limited from his House district after 2019) in what would be a tough fight? These might be uncomfortable questions for the second-term state representative, but they’re the ones she’s going to have to ask herself after the loss of the Jefferson endorsement. A politician losing his or her home base is a politician at a disadvantage, and that’s where Stokes finds herself now.